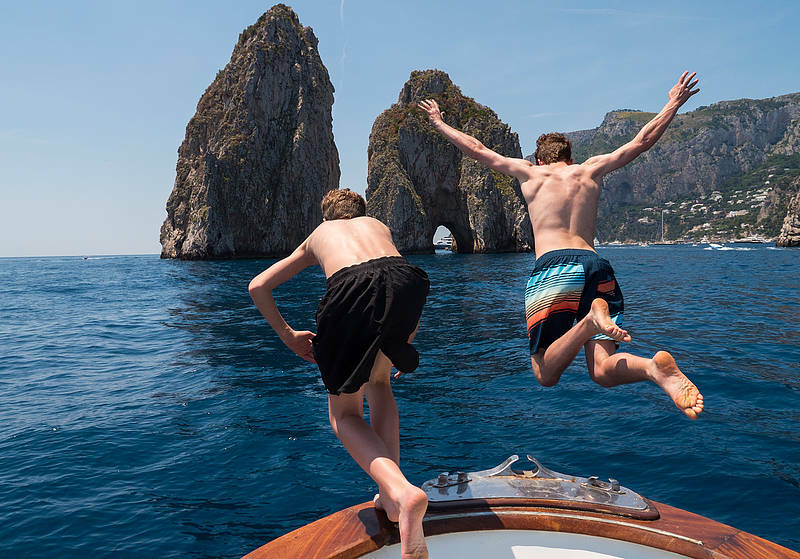 Boat tour of Capri with stops in the most beautiful coves to swim. 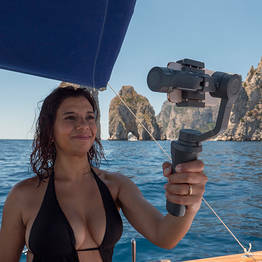 Small groups of up to 12 passengers per boat. 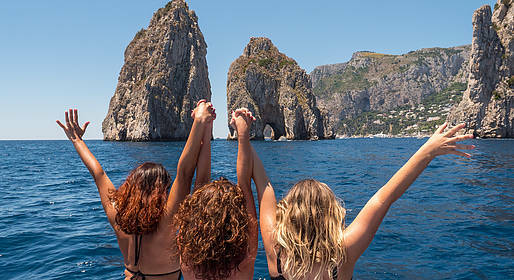 Departure at 8:45 includes a stop to visit the Blue Grotto immediately after setting off to avoid the worst of the crowds and line to enter! 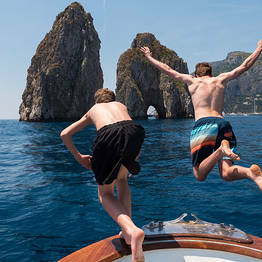 Departures at 11am and 3pm do NOT include stops at the Blue Grotto. 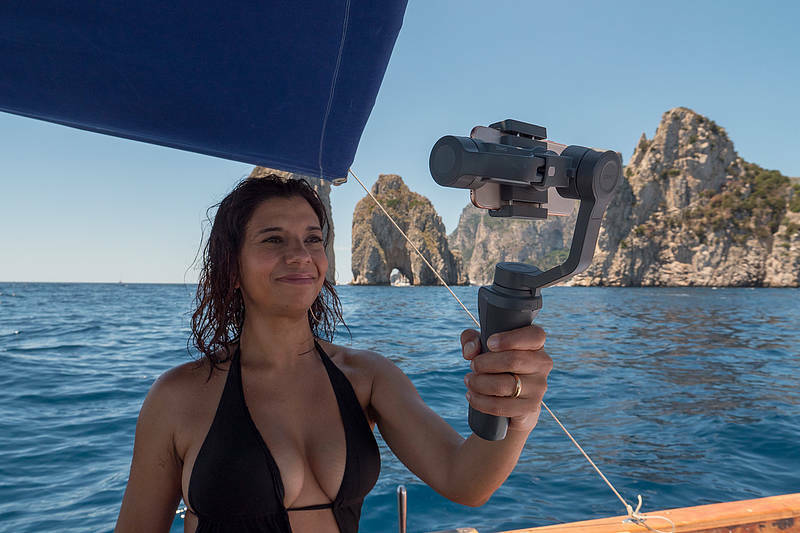 The meeting point is at the "Gennarino e Cindy" shop in Marina Grande, at the port on Capri. Our awning is yellow, the same color as all our boats. We are located just opposite the pier where ferries from the mainland dock. No charge if your tour is cancelled due to inclement weather. This tour can be cancelled up to two hours in advance and the entire deposit will be reimbursed. Deposits are not reimbursed for no-shows or late cancellations. For tours cancelled due to weather conditions, the entire deposit will be reimbursed.